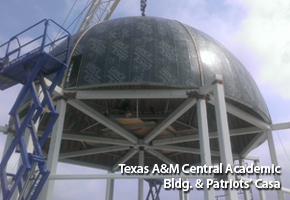 Those Texas A&M Aggies know how to play football and build a dome. When they needed an expert, they called in the best, Radius Track and Marek Brothers. You can’t argue with labor-savings. Those are dollars that fall right back to the bottom line, which is the name of the game. Radius Track works to make things simple for you to deliver a top-notch product to your customer, cost effectively. Originally posted in the Radius Track newsletter.